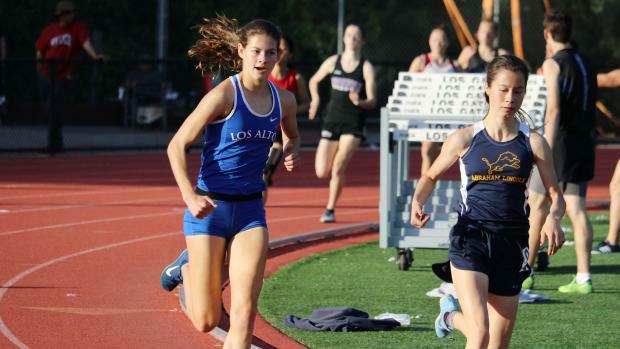 LOS GATOS -- The CCS Top 8 meet at Los Gatos High School on Saturday (April 13) produced it's usual assortment of impressive performances. 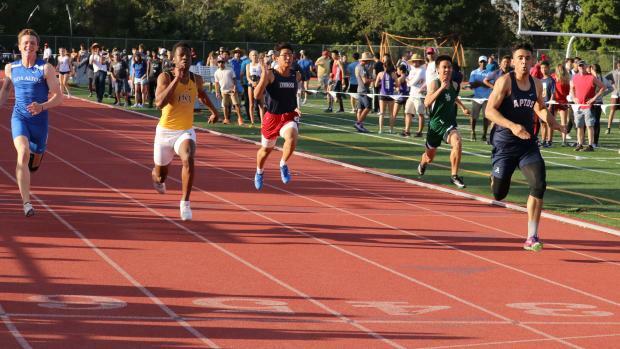 The midseason meet is always one of the best in the area and is intended as a preview of the Central Coast Section Championships in May. 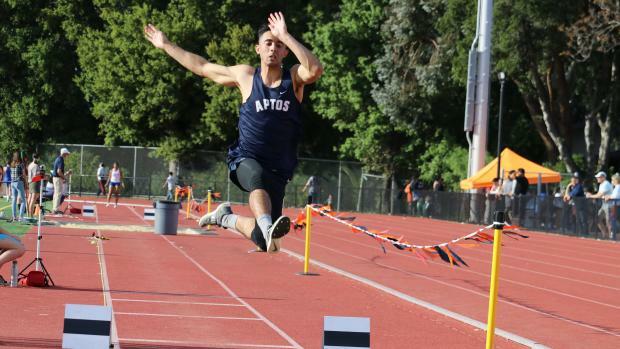 Aptos High School senior Hunter Matys was busy, winning the boys long jump and 100 meters. Not only that, he recorded a personal-best in both events, taking the long jump at 22 feet, 11.75 inches and winning the 100 in 10.73 seconds. His previous bests had been 22-4 and 11.05. Oh, and he also ran a leg on Aptos's fifth-place 400 relay team that set a season best. Matys didn't start running track until his sophomore year. The track coaches recruited him from the football team. Now, he's hoping to run track in college. "Lately, I've been doing block starts to get fast out of the blocks," Matys said of the 100. "I've just been trying to keep my form steady through the whole race." He added that his next goal is, "anything lower than a 10.73." 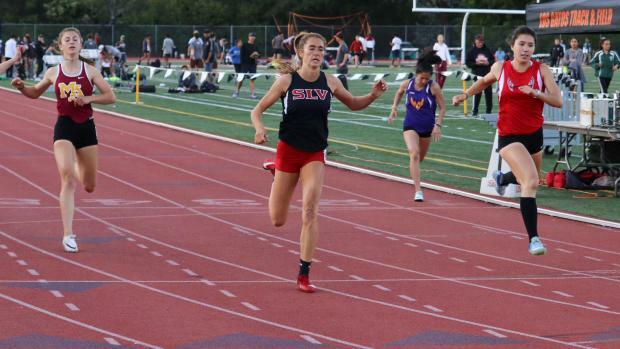 Felton San Lorenzo Valley senior Camryn Crouch swept the girls 400 and 200, winning the former in 57.40 and the latter in 25.08. After the 400, Crouch said she was feeling strong in the second half of the race. "The first part, I felt like I could have gotten out a little bit faster," Crouch said. "Once I got to that last 200 I started to kick it in more." Crouch (inset at right) said she'd like to get her time down to sub-56 and qualify for the California Interscholastic Federation Finals. In the 200, Crouch edged Campbell Westmont senior Jessica Swalve, who had won the heptathlon at last weekend's Arcadia Invitational, setting a personal-best by 400 points. All Swalve did at the Top 8 was win the 100 hurdles (14.68), finish second in the 200 (25.17) and take third in the high jump (5-2). "Not too bad. I took the next two, two and a half days off," Swalve said of her recovery time. "A little achy in certain spots but good." Swalve doesn't have plans to compete in another heptathlon this year but will compete in the event next year at UC Santa Barbara. She does plan on competing in the three events she entered at the Top 8 at the CCS Championships as well as a leg on Westmont's 4x400 relay team. 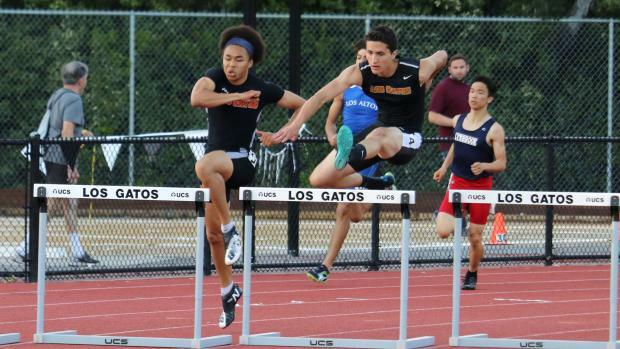 Joey Monti of Los Gatos doubled in the 400 (48.90) and the 300 hurdles (38.11) with a personal-best in each. "It was really unexpected," Monti said of the PRs. "I was coming off a hard workout week. I didn't expect to PR at all. I was expecting to do that a week from now. "The muscles are pretty tired. But I was nice and loose, good warmup. It felt good." The senior called the Top 8 a really good meet. "I know a bunch of the guys I race," he said. "I only see them here and at the CCS finals. That's it. It's nice practice. Good to get used to them." Los Altos senior Naomi Donovan came from behind in both of her victories. She flew down the stretch on the final lap to take the 1,600, winning in 5:05.35. She then came back to do the same in the 800, finishing in 2:19.95. After the 1,600, Donovan said, "I normally don't like to lead races but rather just see how the race is progressing. The first lap, I just wanted to go out at a nice pace, second lap just relaxed and got in a good position. And then third lap I really started trying to pick it up. "It went how I wanted it to." Donovan set a season best with the 1,600 but hopes to get under 5:00 by the CCS Championships. Pacifica Terra Nova senior Carly Watts swept the girls shot put (43-1) and discus (149-6). Palo Alto Gunn senior Jared Freeman swept the boys shot put (52-7) and discus (167-8). Los Gatos senior Masaki Wada-Law won the 110 hurdles in 14.36 then came back to take second behind his teammate Monti in the 300 hurdles in 38.40. 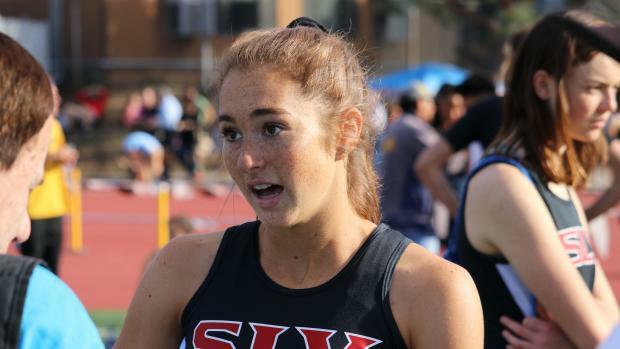 San Jose Silver Creek senior Jazlynn Shearer, the state leader in the 100 hurdles and triple jump and one of the state's best in the long jumb, scratched all three events. 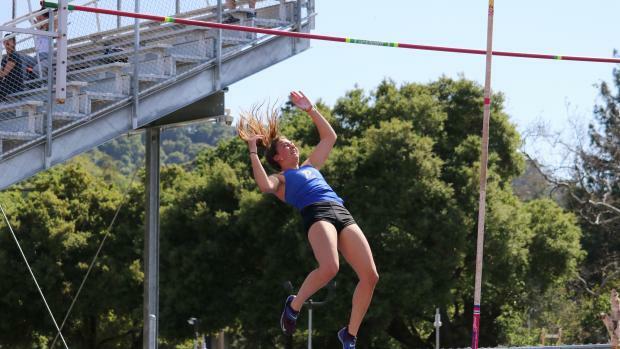 Monterey Santa Catalina School senior Laurel Wong, the defending state champion in the pole vault, placed second to Grant in that event clearing 12-6 and missing at 13-0. Wong, who is on the mend from an ankle injury, also competed in the 100 hurdles and long jump.